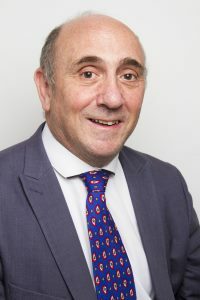 Martin Tiano completed his articles at Cohen Arnold & Co. where he worked as an audit manager and PA to a senior partner between 1981 and 1988. He qualified as a Chartered Accountant in 1986. After leaving, he had a short spell at H. W. Fisher before setting up his own practice. Whilst establishing his own firm, Martin set up a close working relationship with B.M. Orkin & Co. In January 2002, Martin Tiano & Co. formally merged the two practices. His professional work has encompassed most aspects of general practice with particular emphasis on the ‘External Financial Director’ role for small and medium sized, especially family run, businesses. Martin takes his role as financial advisor to his clients very seriously, taking a personal interest in all his clients’ projects and ventures. Martin served as a Trustee and Honorary Treasurer to a national charity for over six years. Martin is happily married with six sons and a Tibetan Terrier named Roly. He is involved in communal and charitable work and is an avid sports fan. Martin is available to discuss your business requirements out of office hours, by appointment or even whilst walking his dog in the park!